Thank you, thank you thank you! You need the Nobel Peace rize just for saving me from pulling my hair out! I was ready to just delete all FaceBook accounts! I completely agree! THANK YOU, Louise, for sharing the exact size needed for my Facebook group page. No more trial and error! THANK YOU! Hi Louise, I’m still not getting a full image using these sizes and so far I’m down to 1500 x 570. Any new info that can help me set the size right for the full image to display on a fb group cover? You cannot get a full image to display on both desktop and mobile. Reducing the pixel dimensions won’t make that happen. Louise, thank you. I’m a long time Photoshop Elements guy but have been really frustrated by not getting the straight poop on what FB actually wants. With your template and suggestions, I got more accomplished in 30 minutes today than several hours yesterday. 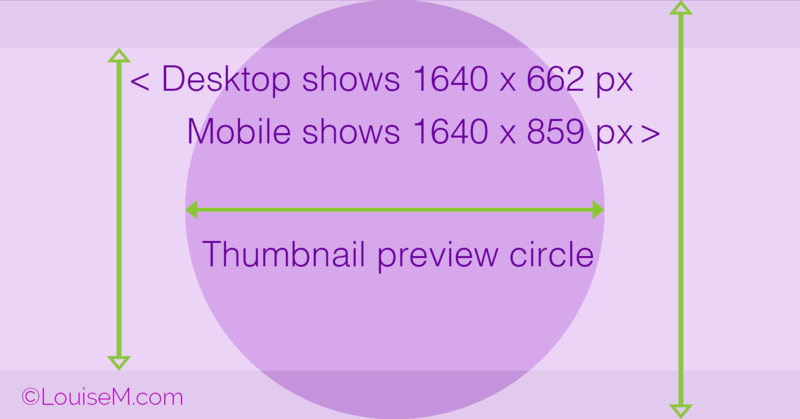 A comment: for the 170×170 profile pic, you suggest at least twice that size. I ran into problems going 846×846 (which was a pic I already had), but going to 340×340 game me a great result. thanks for your tips. However, somehow my group header illustration keeps getting compressed by Facebook that results in a pixelated illustration. I use your suggested ratio, convert it to a .jpg with an Alpha channel under a 100kb and still, it doesn’t look nice. I can suggest trying a LARGE PNG file size. It might work, but we unfortunately can’t control how FB decides to compress things. Would love to know if this helps though. So you say, if I take my present Facebook Group photo and resize it to 1640 x 859 it should work then … hhhh. but it doesn’t! If you follow the template, it will work. It’s not about resizing your current image. 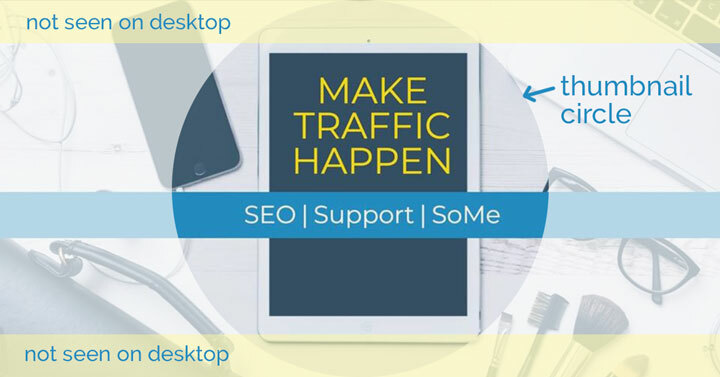 You need to keep the type out of the areas cropped top and bottom on desktop. But right clicking doesn’t do anything; there’s no option to download simply by right clicking. Love your blog, btw! Great stuff! Interesting, maybe this varies by operating system. Hmmm sorry, don’t really now what “follow the template” means …. all I want is for the cover photo to show correct again with all photos and the complete text … isn’t there maybe an app or online program that that make this work 1:1 for me!? I don’t think so. 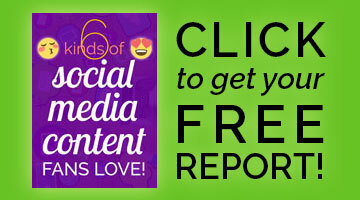 The online tools and apps tend to follow what FB recommends, which works on desktop only. “Follow the template” means to keep anything you don’t want cropped to the smallest area shown (desktop cropping). Well, all I want it to re-use my present/current image and have it shown with all photos and all text …. I’m absolutely no buff at this … so how would I go about this, dear Louise!? I always know to look for you to save the day! You rock! Thank you so much for this post! I don’t know what I am doing wrong, but I have tried using these dimensions and using the pixel 1640×662 makes the image huge and when I upload it to my group it doesn’t fit at all and cuts off most of the picture. 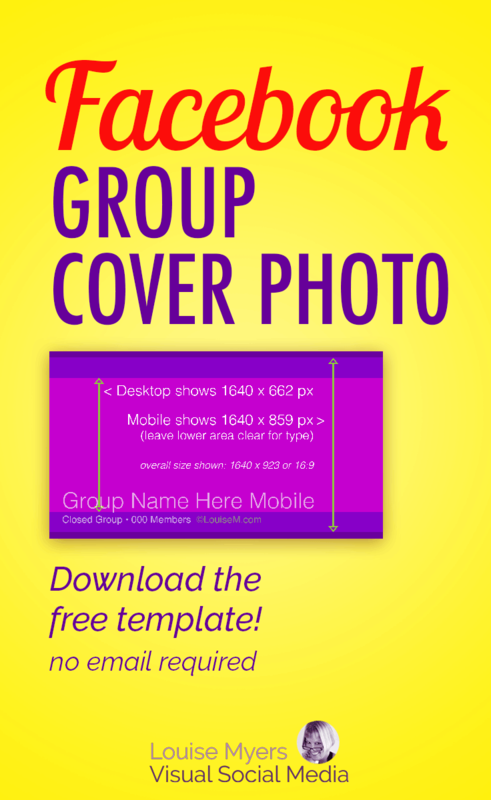 The previous dimensions that I had used on my group cover photos was 821×303. So I am not sure how it could almost double and still be able to fit in the cover photo. The missing piece: Images for Facebook (and virtually all social media) need to be created to a proportion and not a specific pixel size. However if you use 1640×662 the sides WILL be cut off on mobile. I suggest you follow my template. THANK YOU for being the ONLY one on the entire interwebs to have been able to call out the need for a compensation template to address the FB Group Photo zooming debacle. They really should be ashamed of themselves, but after all, THEY control the spin, so not addressing it is a self-preservation tactic in itself. Thank YOU for your integrity and for your service to your fellow (wo)man pulling our hair out in clumps for HOURS. *sigh* That’s billable time, as far as I’m concerned. I should send an invoice to Zuckerberg. I don’t know if FB has changed it again or what. I’ve tried NINE different sizes and they’re all too large. I’ve tried 1025 x 300, 851 x 315, 1640 x 662, 1025 x 415, 820 x 428, 700 x 223, 550 x 175, 784 x 250 and 801 x 250. They all cut the sides, top and/or bottom off. I have owned many groups over the years and have never had a problem like this before. FB always crops cover photos differently on desktop vs mobile (whether group, page, event, or profile). There’s no size that will show in full on all devices. This is why I wrote the posts and made the templates. Louise, I can’t tell you how much time and frustration you saved me. I don’t like FB at the best of times LOL. Found this site and followed instructions and it worked perfectly. LOL that’s exactly what I said. Leave the top and bottom clear because they’ll get dropped on desktop. Don’t know how to make it any plainer than that. We decided to leave ours oversized on all our groups rather than have to play catch up with Facebook moving the goalposts on a regular basis. They really need to stop trying to fix things that aren’t broken. Besides, the oversized group images serve as a reminder of their ineptitude. Great Post! 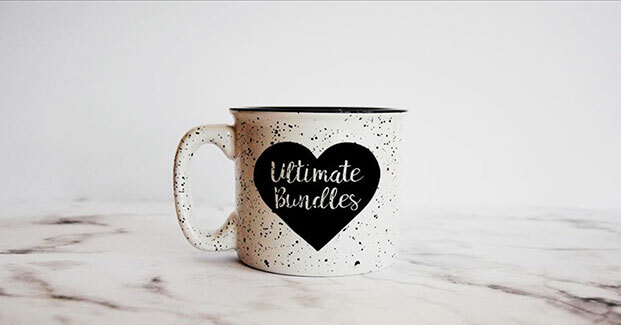 Quick question, do you know if it is possible to add an animated cover photo to a Group page (I know you can add it to a regular/business page). HELP. I can’t seem to figure this out and I’m seeing all these cool animated/slider-type cover photos and not sure why our group page is not able to do the same. You could try uploading a GIF with the photo uploader. Videos aren’t yet supported, at least in my group. What size/compression do you recommend exporting as? I’ve designed my file to your template, but every time I try to upload it to Facebook it comes out SUPER pixelated and messy. I’ve googled and tried everything I can think of, but nothing seems to help. Sorry, I really don’t know. Part of the compression issues have to do with colors (reds and magentas suffer most) and just what the image is. Sharp edges get a lot of artifacts. On photos it’s less noticeable. I’ve tried PNG 24 and sometimes that helps, but not always. WHY?? Why facebook must change always everything? I’m already so frustrated. Has anybody an idea about an actually size for watching the group’s photo on a computer? I think you’re misunderstanding the post. There isn’t, and has never been, one size that looks the same across all devices. You need to create the larger size and allow for cropping on desktop. Hi Louise. I am having a hard time understanding your template. I made a cover image 1640 x 630 and it’s getting cut off on the sides. Are you saying we should make our image 1640 x 859 to have it not get cut off on mobile but it will be a tad cut off on desktop? Thank you for this! You wrote, “Facebook is even providing a similar template now!” Just out of curiosity, where do you find those? I found it in the Help. Thank you! No matter what I tried I could not get our group photo to show up right. Your template saved my sanity!! Thanks for posting this – it was helpful. There’s one problem still. High saturated red/pink tones get distorted. I find this frustrating as I commonly do branding with these colours. Do you have a solution? No, this is a known problem, unfortunately no solution (other than using different colors). Flat colors and hard edges will always show more artifacts, and colors with a lot of red most of all. You are welcome to link to my posts. Posting my images or more than a sentence of my words is NOT allowed. No matter what I try, no matter how large or small I make a photo, no matter which online tool I use, it always posts as the SAME size. It is way too big. 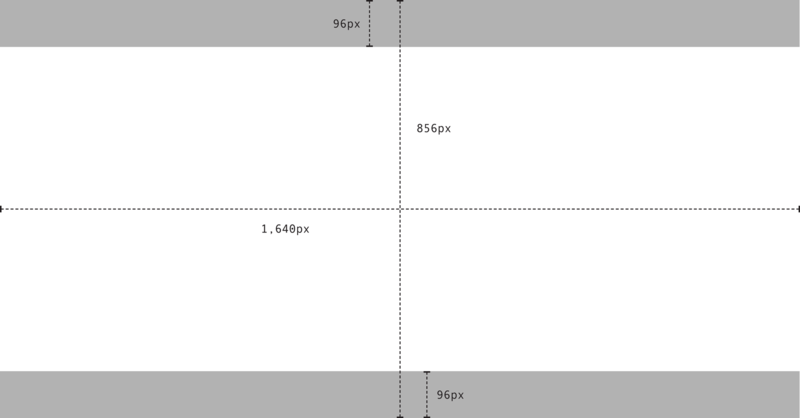 I have tried widths ranging from 1859px to 600px. Neither side can be seen unless it is re-positioned, and then it is only one or the other; not both. The top and bottom cannot be seen or revealed even by re-positioning. You cannot get around the fact that there WILL be cropping on either mobile or desktop. That’s why I wrote the article. You have to plan for the cropping. Making a different size in the same shape won’t make a difference. I doubt there’s anything you can do. We can’t maintain a PPI on the web, as it’s device-dependent. Also FB will compress any uploads. You could try a different file type, like PNG if you used JPG. Or compress it more / less before uploading. So glad to hear it, Alisha! What is the image size ratio when creating a doc inside the group? Sorry don’t know that one yet! I would like to put a border around a group cover photo. If I use the ratio of 1.91×1, and then place a stroke on the photo, upload it to the FB page, the only part of the stroke that shows is both ends. I know FB crops the top and bottom. Is there away around this, in sizing? Nope, there is not. No matter what size or shape you use, a border would be cropped on some devices. This is great – and my question may be obvious but when I am setting up my template (using gimp) do I use 1640 x 923 OR 1640 x 859? 1640 x 859 is good! You are awesome! I found this in a google search trying to find the correct dimensions of a FB cover since even when I use the correct dimensions, it is ALWAYS off. Your explanation as to why explained it all! As a new blogger, I will be a new subscriber for you too. Thank you! OMG! I paid someone $50 yesterday to recreate my design of my fb group cover, because I couldn’t get it to fit. Well, HE COULDN’T EITHER (so that was money down the drain!) I googled “What the hell is the right size for fb groups covers” and landed here! 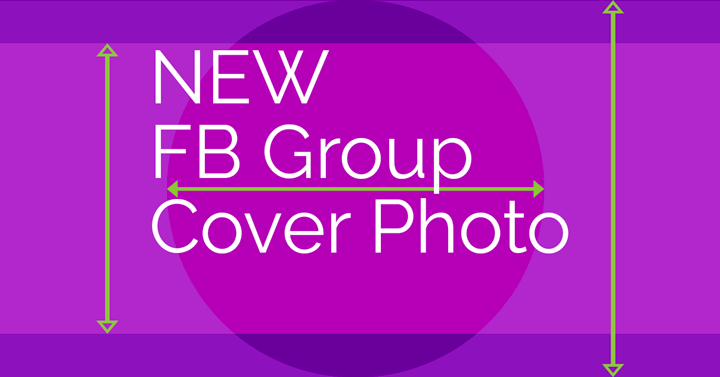 Couldn’t download the template so I snipped it; pasted my image on top, resized it to height and width of the LIGHT PURPLE part of the template; grouped the two images; copied into Paint, resized to 1640×859 and — VIOLA — a PERFECT, CRYSTAL FB GROUP COVER! Where do I send my check? Is it still possible to have the cover just display the members? Before, if I didn’t have an image uploaded, it would show the members up top. It seems NOT to be doing that any more. I think this feature was removed quite some time ago, sorry. Remove the image, see the group from other account than Admin’s . Old style is displayed by default to non-admins. Good to know, I haven’t seen this style for ages. Thanks. FACEBOOK IS F’ed up. Totally. I downloaded your templates, downloaded Facebook’s template and NONE OF THEM WORK. I’m a graphic artist, not a newbie. What is going on? I HATE Facebook. I hope Zuckerburg gets early onset dementia. How hard is it to actually provide a template that works? Every now and then I hear from someone that this template just doesn’t work. I’m not sure if you’re seeing a different format for some reason. This still works on my computer, iPhone, and iPad. Same here, I’ve tried everything. Also a designer. I can’t figure out what the issue is, but no matter what i do the image uploads too large every single time. I’ve even shrunk the image down tiny within the dimensions just to see if it would change, nope. Facebook uploads the same thing every time. This is a frustrating problem to something that should be so simple. Convinced it’s a facebook issue. Thank you for your time in trying to help all of us. Not sure what you mean by “too large.” Is it cropped on both desktop and mobile? Would love to see what you see… let me know. where do I download the Group Cover template? Maybe you can’t tell a book by it’s cover. 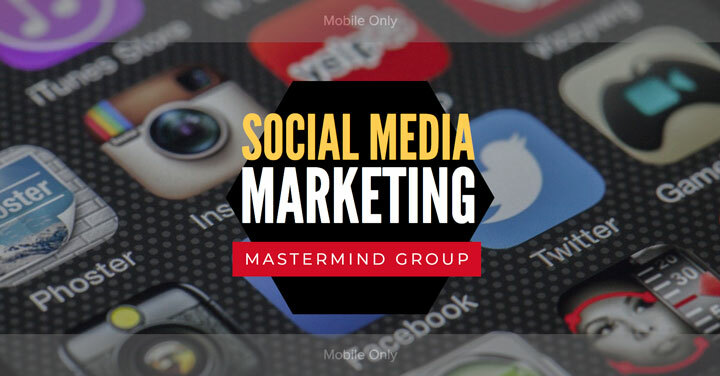 But you should be able to learn an awful lot about Facebook groups from their cover images. That’s why the resources and training you’ve shared here is so invaluable. Aww, thanks so much Donna, glad you found it useful. Its still working on february 2019? I see on other site is different about this size, can You Explain this? I think I’ve explained everything pretty thoroughly! I don’t know which site you refer to or what they say, so I can’t say if it’s right or wrong, only that mine has been tested to be correct. Thanks Louise… you really found your niche, and serve it beautifully. Just used your guidance to change my FB group cover image. Thanks Jim, glad you stopped by! Louise! Facebook is using face recognition software to autocrop the circle where the face is! 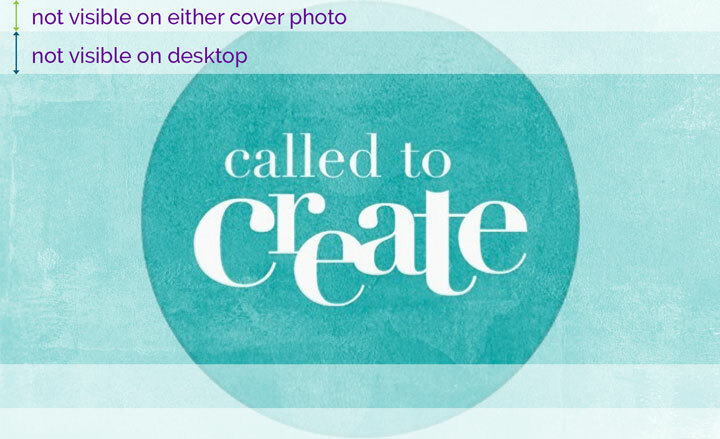 I specifically created my cover to have the center text be the circle thumbnail. How disappointing! Want to update your article to include this now? Thanks for all your great cropping info, you are always my go-to. Oh boy. Always something new. I just wrote this 2 weeks ago! And the face in the sample was not centered. Thanks for this update!! I uploaded a 1640×859 cover group image, but facebook is NOT using the center part of my image for the thumbnail, it’s using the right side. I can’t figure it out, I tried different heights, still the same result. I’m perplexed. Can you help? I can take a look. I believe they also use some type of visual recognition to determine what’s the best part to feature. I haven’t seen this personally but others have said similar.